Education should be joyful, hopeful and liberating. We want to build an education system that frees minds, inspires hope and leads learners to question, criticise and create throughout their entire lives. 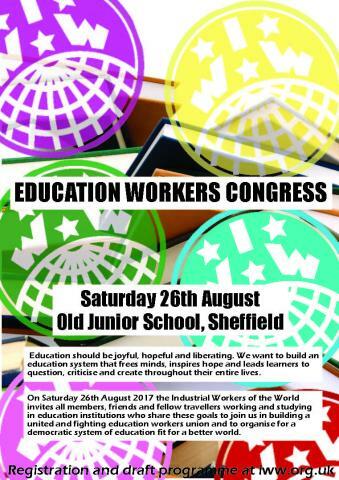 On Saturday 26th August 2017 ​the Industrial Workers of the World invites all members, friends and fellow travellers working and studying in education institutions who share these goals to join us in building a united and fighting education workers union and to organise for a democratic system of education fit for a better world.